IPOPI has three new members! Slovakia, Senegal and Puerto Rico are now represented in the fast-growing network IPOPI’s National Member Organisations (NMOs). The Slovakian PID Patients Association, the Senegalese Association for PIDs and the Puerto Rican Alliance of PID Patients were pleased to officially be part of the international PID patients community. They expressed they are looking forward to work with IPOPI and its other NMOs as well as to participate and learn from each other in IPOPI’s future meetings. Join us in welcoming them! Stakeholder cooperation and patient empowerment are key to improve overall access to diagnosis and treatment as well as better understanding of PIDs. 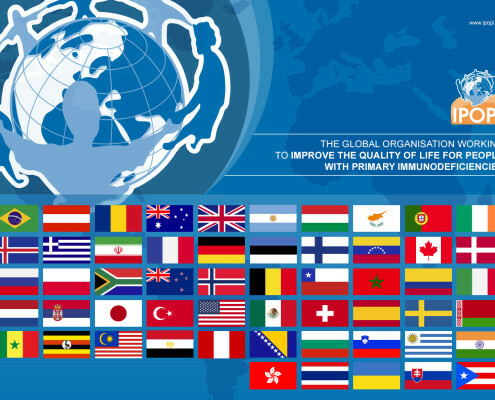 IPOPI is proud to represent 55 active and committed national member organisations who help us spread PID awareness throughout the five continents.